Join GolfVino, ‘The Leader in Luxury Golf and Wine Travel in California,’ as we tour the amazing country of Sonoma County and Napa Valley, offering the ultimate and memorable experiences in wine, culinary and golf. Guests are treated to golf at coastal links, vineyard courses and exclusive private clubs. Family owned wineries and vineyard estate properties look forward to opening their gates for GolfVino. Your tour host is Greg Anderson, who is recognized as the only Wine Sommelier and PGA Member in the country. GolfVino is ready to create an incredible experience for you. 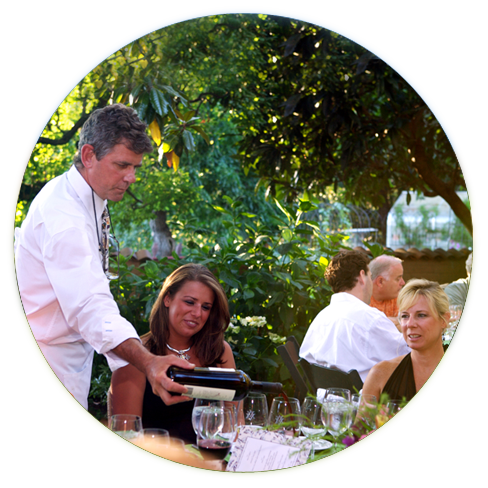 Are you interested in a customized group tour or an intimate golf & wine getaway for two? Let us create the best experience for you. Your gourmet dinner will be appreciated overlooking the Napa Valley with menus inspired by the natural diversity and rich ingredients of the area.